Today is Tuesday, April 25, the 115th day of 2017 in the Gregorian calendar, with 250 days remaining. 1,366 days until the end of Donald Trump's term as President, assuming he doesn't resign or is otherwise removed from office. 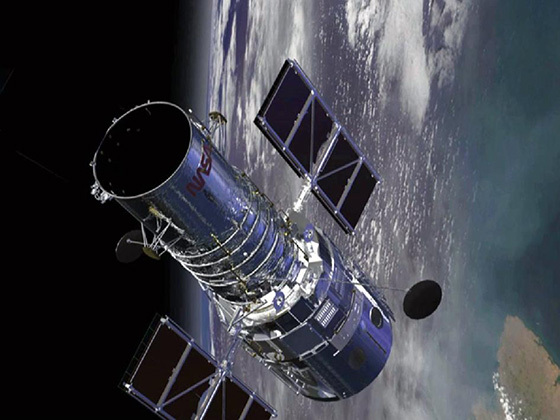 On this day in 1990, The Hubble Space Telescope was deployed from the space shuttle Discovery. The only telescope designed to be serviced in space by astronauts, five subsequent Space Shuttle missions repaired, upgraded, and replaced systems on the telescope, including all five of the main instruments. Still operating after 27 years, it could last until its orbit decays sometime between 2030 and 2040. Its scientific successor, the James Webb Space Telescope (JWST), is scheduled for launch in October, 2018. Among other things, today is also National Telephone Day. The New York Times' On This Day for today. Florida man snorts cocaine in front of cops as wildfire rages. "Anyone who isn't confused doesn't really understand the situation." Today is also the birthday of Mort Weisinger (1915-1978), a man who had an enormous impact on me and those comic book-reading and television-watching kids of my generation. He was an American magazine and comic book editor best known for editing DC Comics' Superman during the mid-1950s into the 1960s, in the Silver Age of comic books. He also co-created such features as Aquaman, Green Arrow, and Johnny Quick, and served as story editor for The Adventures of Superman television series. Weisinger was responsible for much of the Superman mythos. He was the one who attributed Kryptonian superpowers to Earth's yellow sun. He devised various types of kryptonite, the concept of "imaginary" stories, and introduced Supergirl, Krypto the Super Dog, the Phantom Zone, the bottle city of Kandor, and the Legion of Super-Heroes to the DC universe. If you've ever wondered what it's like to be under the influence of hallucinogenic drugs, I suggest reading the transcript of the AP's interview with Donald Trump. This is what's known as "a bad trip." Plastic-eating caterpillars could munch waste, scientists say. They eat beeswax, but can also digest plastic. To those of us who remember Mothra, this isn't that much of a surprise. The opioid epidemic 'is underestimated': CDC report warns current data is just the tip of the iceberg as many drug deaths are not recorded. Medical examiners may report diseases, like pneumonia, as cause of death and not mention drug addiction. The big winner in Bill O'Reilly's departure from Fox may be MSNBC's Rachel Maddow. Full disclosure: I'm a major fan, mainly because she's so darned intelligent, unlike many talking heads who merely spin and re-spin clichés and catchy phrases. And she's honest to a fault. If she makes a mistake on her show, it isn't buried at the end of the broadcast; she leads with it, often spending more time on a detailed mea culpa than was spent on the original story. Maddow earned a degree in public policy at Stanford in 1994. At graduation, she was awarded the John Gardner Fellowship. She was also the recipient of a Rhodes Scholarship and began her postgraduate study in 1995 at Lincoln College, Oxford. In 2001, she earned a Doctor of Philosophy (DPhil) in politics at the University of Oxford. Her thesis was titled HIV/AIDS and Health Care Reform in British and American Prisons. Her most memorable observation about the Republicans' Obamacare replacement plan: "I have a doctorate in this subject, and even I don't understand it (the GOP proposal)." Choline, a nutrient in meat and eggs may conspire with gut bacteria to make the blood more prone to clotting, a small study suggests. Choline boosted the production of TMAO, which increases blood clotting. Past studies have linked higher TMAO levels in the blood to heightened risks of blood clots, heart attack and stroke. On the plus side, aspirin may reduce the risk. The creators of This is Spinal Tap, the most influential mockumentary ever made, have been paid almost nothing. The rock gods are angry. The band is back together again, and they're demanding $400 million in damages.